American Eagle Security is an independent, Upstate SC-based company that specializes in installing upscale residential and commercial security, home theater, music, and emergency medical alerts systems. A leader in premium installations, American Eagle works with all clients in all business sectors. 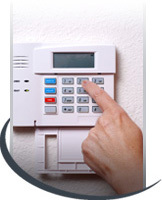 Whether you are a home owner building a new house, already in an existing house, or a commercial or industrial business, we can help you with any of your security, audio, video, or medical alert systems. We are dedicated to quality, attention to detail and end-use convenience for our customers. Don’t trust something so important to amateurs. Turn to Paul Brewington and American Eagle Security and rest easy knowing that a local company has your safety, health, peace of mind and protection as its number one priority.